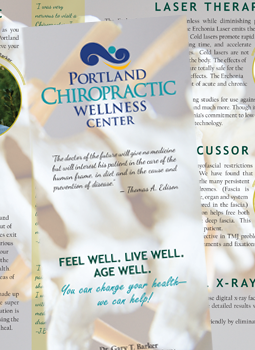 Silver Cricket Designs has designed two brochures for Portland Chiropractic Wellness Center. The first was an overview focusing on the client’s services. 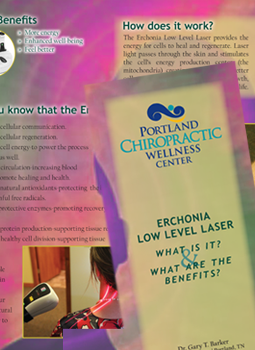 The second brochure gave details about the Erchonia Low Level Laser and the benefits to patients. We began to design a brochure and realized we needed professional help to have a professional looking brochure-it’s not as easy as you think it is when you begin the process. People have said that our brochure helped them to understand what we do and how we could help them. Custom brochure design, designed specifically for client.The material was put together very well.